Some time ago, I designed a blanket as a wedding gift for my cousin. She lives in the frozen tundra of Edmonton, and I wanted the design to reflect that landscape. (Okay, it’s only frozen for half the year, but when it freezes, it doesn’t mess around.) I wanted something simple but elegant, in a neutral colour, that was lightweight (for shipping) but warm (because did I mention the winters up there?) 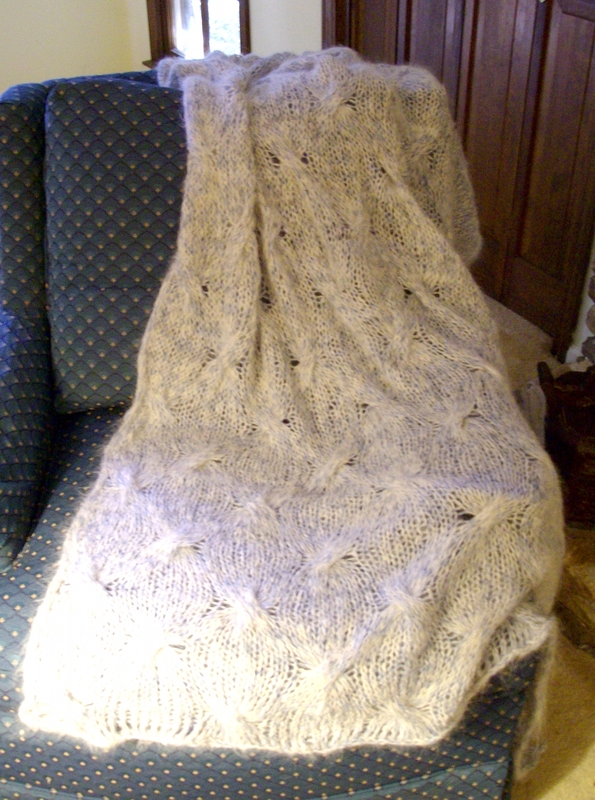 I came up with an afghan in white Suri alpaca and blue alpaca/silk, with a broadly spaced cable pattern that looked like ripples in the snow. Sastrugi became one of my first patterns. While the blanket itself was lovely and the instructions were properly tested, the photos were not very good, and the chart program I used back then was, well, kind of crappy. Not only that, but the yarn was discontinued shortly after the pattern’s release and, to be honest, it was more than a little prone to shedding. I still like the design, though; at 2.25 stitches to the inch, it’s quick and easy, and it looks good in a variety of yarns. I decided to make a Sastrugi for myself, and in the process to revamp the pattern in a currently available yarn with fresh charts, written instructions for those who prefer them, and decent photos. The photos are, once again, by Nusha Elliott, so they’re much more than decent. That woman, I swear. Such talent she has. For this version, I chose Ístex Plötulopi, that unspun Icelandic yarn that comes in giant plates rather than skeins. (I bought mine from Schoolhouse Press.) 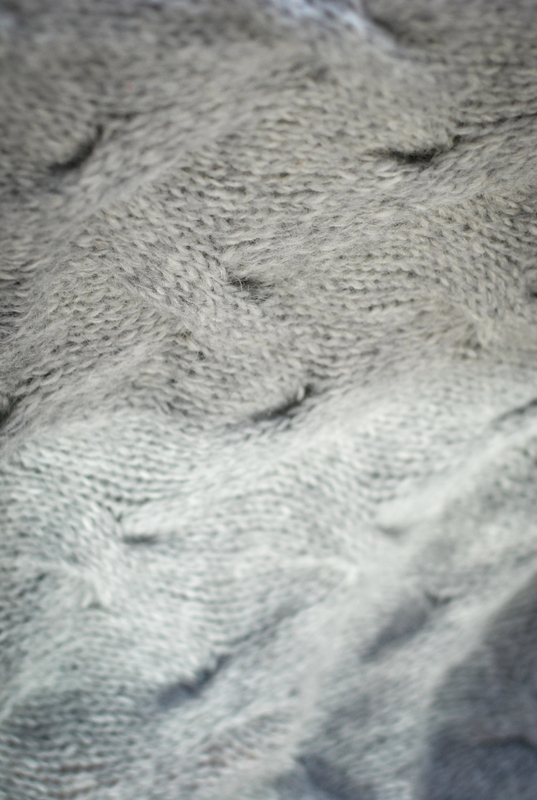 It makes a warm, airy fabric that feels a bit scratchy when you’re knitting it, but softens up a lot in the wash. Because it is unspun, this yarn can be a bit tricky to get used to: it wants to drift apart on you, and doesn’t like being pulled tight. Fortunately, if it does come apart, all you have to do is overlap the ends and keep knitting. (You can also do a light felted join, if you like.) I held the yarn double and lightly fulled the finished fabric, agitating it by hand in a sink full of hot water & wool wash, which gave exactly the texture I was looking for. 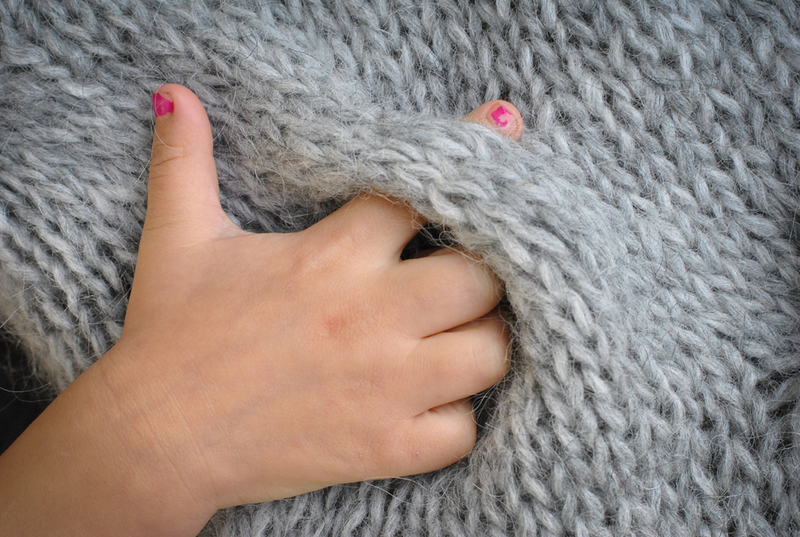 The 42”/107cm x 55”/140cm blanket took just over 5 plates of yarn, or about 16oo yds/1463 m, so in a bulky-weight yarn (i.e., in a single rather than double strand), you’d need about 800 yds/732 m. (One day, when I’m feeling flush, I’ll make one out of Blue Sky Alpacas Techno and I will never leave the couch again.) Now that this version has gone to live in Vancouver, I’ll need to make another one, so I can curl up under it and remind myself of what snow looks like on the prairies. 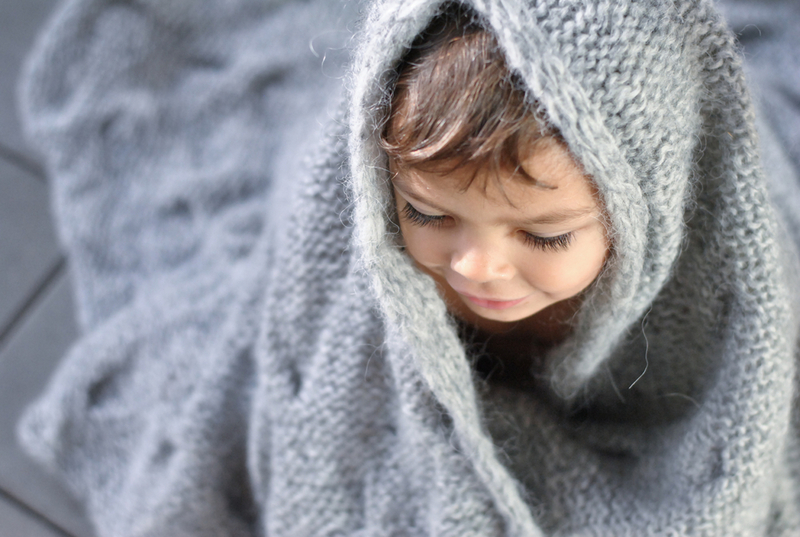 The updated pattern for Sastrugi is now available from Ravelry or Craftsy. So beautiful! Dangerously comfortable, no doubt! It is very cozy, and super-light. The whole thing weighs about 1.25 lbs.